If you ask anyone in North America to name a comic book company, they would probably name Marvel or DC. Possibly they'd name Archie. However, during the heyday of comic books, the 1940s and '50s when one comic sold over 3 million copies a month, a different company had 40% of the market, outselling all of the above. The comic book was Walt Disney's Comics and Stories and the company was Western Printing and Lithography, distributed under the Dell imprint. Historian and critic Michael Barrier is best known for his writings on animation such as Hollywood Cartoons: American Animation in its Golden Age and The Animated Man: A Life of Walt Disney. However, his interest in certain comics is longstanding and he previously wrote two books on this topic. In his latest book, Funnybooks: the Improbable Glories of the Best American Comic Books, he has chronicled the complicated and surprising history of Western while focusing on several creators whose work has stood the test of time. Carl Barks, Walt Kelly and John Stanley were three writer-artists whose work in comic books aimed at children transcended the target age group. While most comic book companies of the time were located in New York City, Western had offices in New York, Poughkeepsie and Los Angeles. While other comic book companies owned the characters they published, Western licensed the majority of its titles from other media: animation, movies and TV shows. In the days before the internet, the dominant on-demand medium was print. Movies, radio and television schedules were beyond the public's control. Magazines, produced cheaply and frequently, were present at every newsstand and were there to be read at leisure. There were general interest magazines aimed at adults and magazines specifically aimed at men, women and children. Comic books filled the niche for children starting in the late 1930s and stayed a major part of childhood until the industry was worn down by attacks linking it to juvenile delinquency, the rise of television and the decaying economics of the newsstand. While the vast majority of comic books were formula stuff, occasionally the stars would align allowing certain creators the opportunity to satisfy themselves while satisfying the market. The three creators that Barrier focuses on all had that opportunity for varying reasons. All three had experience working in animation, though only Barks and Kelly had story experience. They were all draft exempt, making them valuable during the war years when other artists were disappearing into the military. In Barks case, as he had worked on Donald Duck cartoons at Disney, his editors in Los Angeles figured he knew as much about portraying the character in comics as anyone. Kelly and Stanley were lucky to be working for Oskar Lebeck in New York, one of the handful of editors in comics history who could not only recognize talent, but encouraged writers and artists to follow their muses. Barks made Donald Duck and his supporting cast far more complex than the animated versions and brought a level of characterization that made superheroes pale by comparison. Walt Kelly created Pogo for Animal Comics, and also illustrated fairy tales and adapted the movie characters of Our Gang. John Stanley was handed Little Lulu, a single panel cartoon series created by Marge Henderson Buell for The Saturday Evening Post, and fleshed out Lulu and her friends into one of comics' greatest comedy series. With his usual precision and thoroughness, Barrier has laid out the history of the company and its key creative personnel. In addition to the aforementioned cartoonists, there is material about Gaylord Dubois, Roger Armstrong, Carl Beuttner, Dan Noonan, Moe Gollub, Jesse Marsh and Alex Toth. Barrier writes about the many artists who crossed over from animation to comic books with varying success. He explains the relationship between Western and Dell in detail and the careers of Barks, Kelly and Stanley are charted from their starts to their ends, with Barrier offering his insights on the nature of their best work and when and why they fell short. While the publishing company may now be obscure, the work of these three creators continues to be reprinted. Fantagraphics is reprinting Carl Barks' work as well as Walt Kelly's version of Our Gang and the newspaper version of Pogo. Hermes Press is reprinting the comic book version of Pogo. Dark Horse has reprinted John Stanley's work on Little Lulu as well as Tarzan, written by Dubois and drawn by Marsh. Drawn and Quarterly has reprinted some of Stanley's non-Lulu work. In addition, you can find work by most of these creators online at ComicBookPlus for free. If you haven't read the work of these creators, you are missing some of the best that comics has to offer. 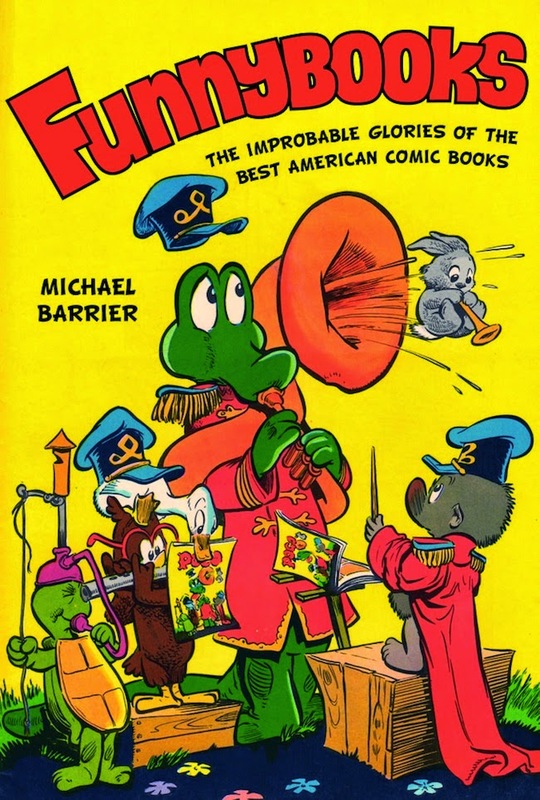 If you have read this work, Funnybooks: The Improbable Glories of the Best American Comic Books will provide a historical context and a critical perspective that will enhance your understanding of how this work came to be and why it is so good.